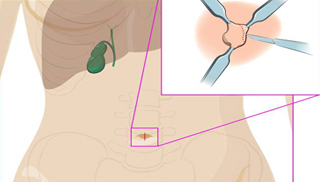 The removal of gallbladder can be performed through a single incision using robotic system. The potential benefits of this procedure over the traditional laparoscopic approach are much less pain, virtually scarless, even faster recovery and high patient satisfaction.At NEWPORT LAPAROSCOPY, Dr. Iraniha performs single incision robotic cholecystectomy. At Newport Laparoscopy, Dr. Iraniha has performed extensive number of laparoscopic hernia repair. Recently, Dr. Iraniha has pioneered inguinal hernia repair using state of art robotic technology. There have been some major benefits experienced by surgeons using the Robotic Surgical System over traditional laparoscopic approaches. These benefits are greater surgical precision, increased range of motion, improved dexterity, enhanced visualization and improved access. 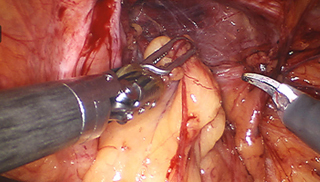 The colorectal minimally invasive surgery can be performed using robotic and laparoscopic technology. These are advanced procedures that take a long period of time to master. At Newport Laparoscopy, Dr. Iraniha has substantial experience in advanced robotic and laparoscopic colorectal surgery and offers these minimally invasive procedures for a variety of colorectal diseases, including colon cancer. Newport Laparoscopy offers the complete spectrum of Robotic ,laparoscopic and general surgical procedures for our patients with an emphasis on minimally invasive surgery. Our mission is to provide our patients with a compassionate, comprehensive and high quality surgery program. Dr. Iraniha guides this center to ensure successful outcomes. We pledge to use the most up-to-date surgical practices, combined medical knowledge and the utmost concern for the wellbeing of our patients to offer premier surgical care throughout community. Our goals are to be on the cutting edge of technology, deliver quality outcomes ,Provide excellence in service delivery and Provide leadership roles in the healthcare community. 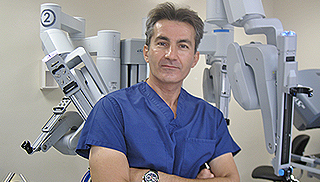 Newport Laparoscopy was founded by Andrew Saeed Iraniha, MD, FACS in 2000. Since that time Newport Laparoscopy has provided State of the Art surgical care for our patients with offices located at Newport Beach, Irvine and North Orange County. Our center is regarded as one of the premier general surgery practices serving Orange County. 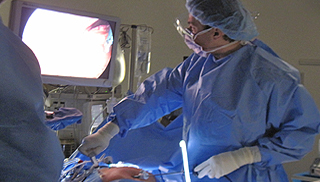 Newport Laparoscopy headed by Dr. Iraniha offers over 14 years of experience. Our surgeon and staff are committed to our patients, take pride in the work we do and welcome you to our practice.